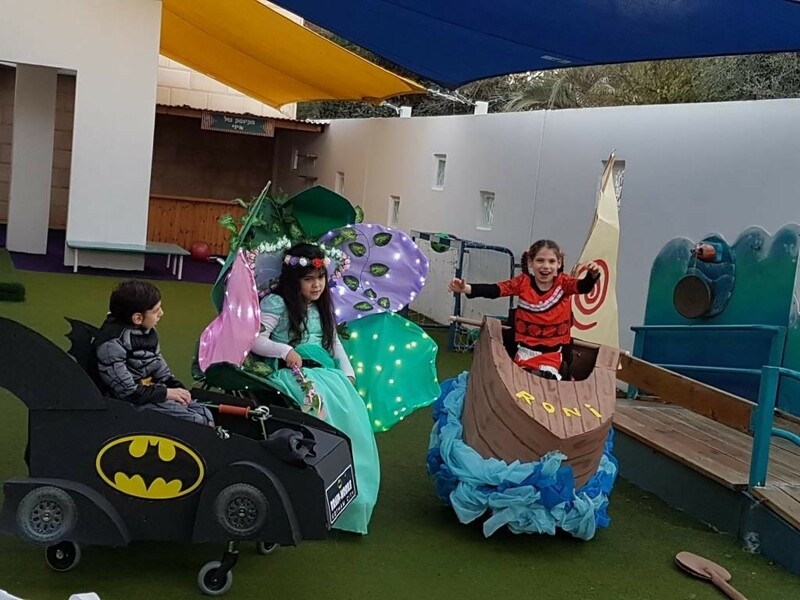 Last week we held the third annual Purim Costume Make-a-Thon at Beit Issie Shapiro, an emotional event full of imagination, creativity and inspiration. This year we had close to 30 children and youth with disabilities who use wheelchairs or walkers, work together with design student volunteers from The Holon Institute of Technology. The volunteers helped the participants and their families turn the wheelchair or walker into an essential element of the costume. The idea for this event rose out of conversations with parents and children who shared that, often, the wheelchair or walker hides the child’s costume, taking away some of the magic of dressing-up. With this event the wheelchair or walker becomes an essential element of the costume, creating something unique and fun. A wheelchair, for example, can be turned into a DJ booth, or into Moana’s boat and a walker can be turned into a fighter jet. Throughout the event the air was alive with energy. Parents and children shared how significant the experience is for them. That because of this event, their mobility device, something that often brings them frustration, turns into something special and unique. With these costumes, the other children at school look at them with wonder (and even a little jealousy), changing their whole holiday experience. Who is that – Shir or Tinkerbell? Can’t wait to see you again next year!